I bought the Archer pattern a week or so ago and I’ve been really excited to try it out. 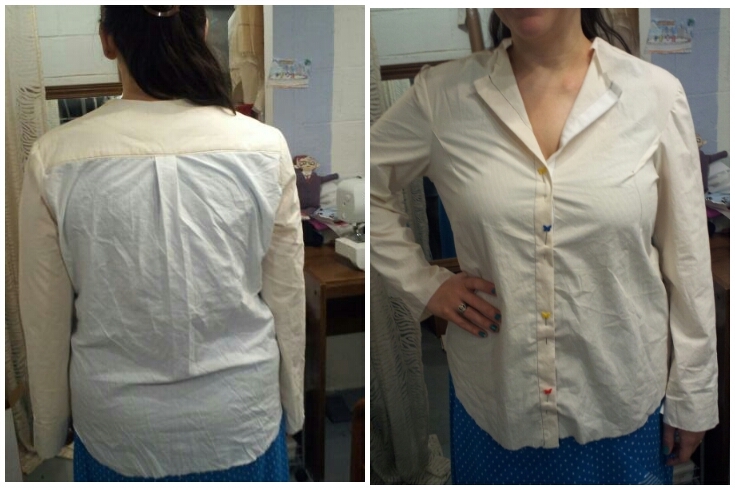 Last night I worked out a first muslin. I did very little initially so I could see what I’d need to do. 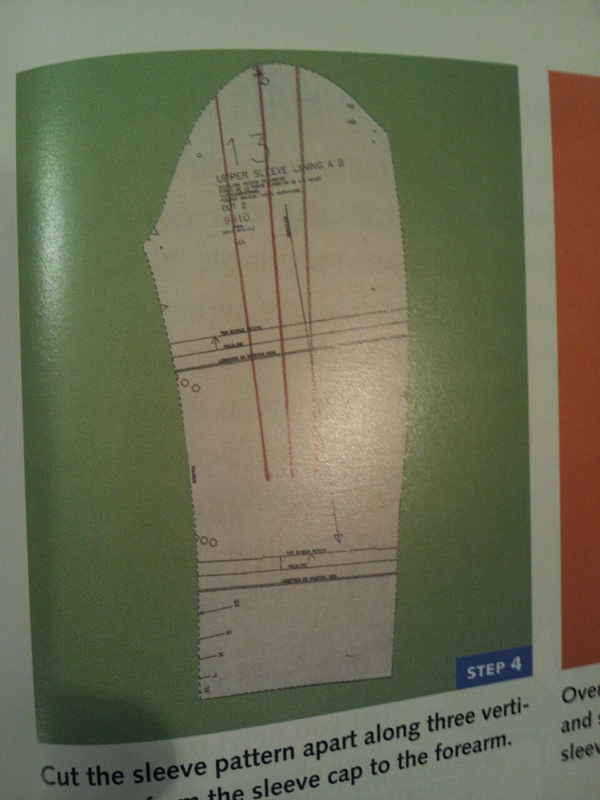 I started with the size 12 based on my high bust measurement. I did pin the tissue to see the fit and made a couple of changes. -Adding bust room a la Sandra Betzina. Do you see the similar drag lines on my muslin? 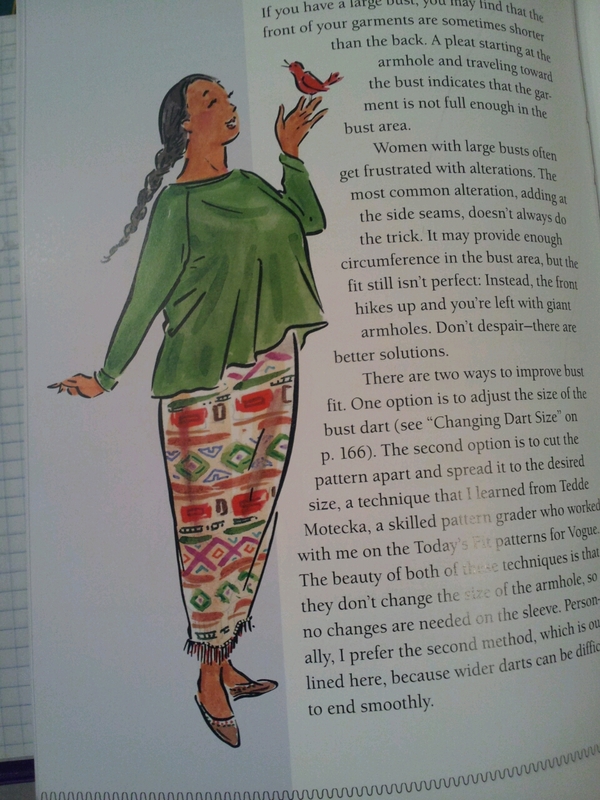 This is how she shows how to do a bust adjustment. I like it because one version doesn’t add width. -Add another bit to the back hip area. 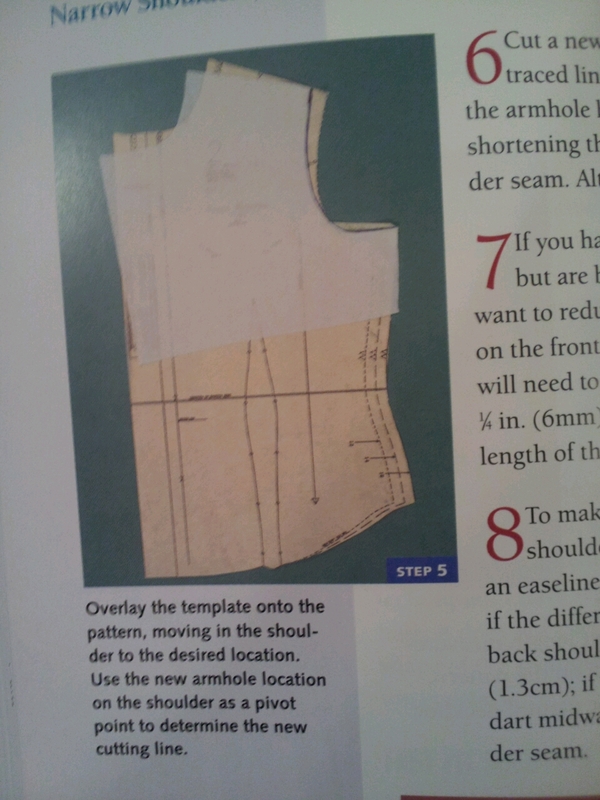 Maybe 1/4″ or 3/8″ to each side seams. How does my muslin look? 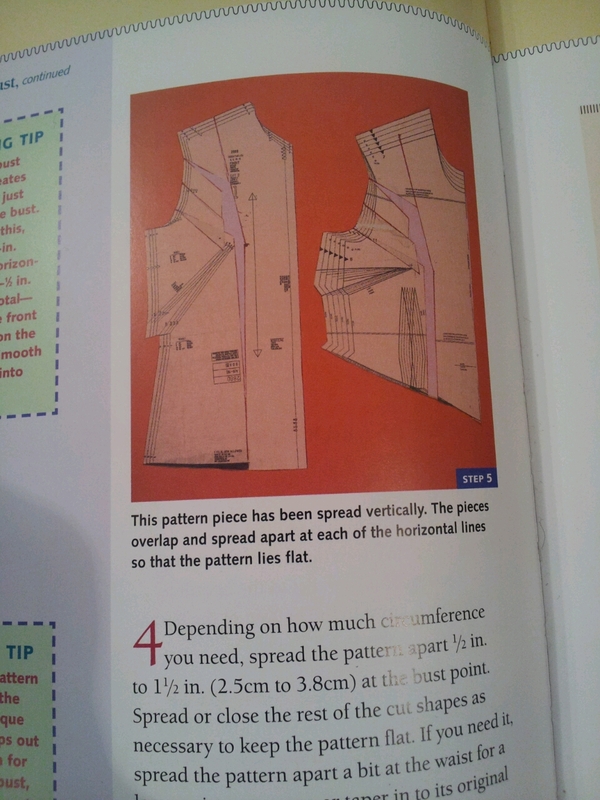 I’m willing to do another muslin so that I can have a well fitting TNT pattern. Looks like a nice & useful mockup! I really need to finish tracing one of my rtw button-down shirts and test the pattern – I only started it 2 years ago, but now I need some more non-tshirts for my retail job. I’ve only worked for 3 days at the store so far (all 3 last week), but I think I’ve adapted pretty well. It’s sort of a combination of all the types of jobs I have done in the past. I work again Saturday – the first sale day so we will see if it kills me! I started Shakespeare stuff this week and at least have my phone next to me while I’m sewing (thus the Instagraming & occasional tweet). I usually jump on Twitter at lunch, but it has seemed pretty quiet this week. I miss all you sewcialists too! Wish I could have you join me at work – we’d have so much fun! I’m sure you’ll rock the sale this weekend! Oh, right, Shakespeare. It would be fun to join you there. Oh, the chatting and the giggling. Is the Sandra Betzina FBA the Y-shaped one that’s close to the center front? Sandra does a slightly different bust adjustment. Not quite like the Palmer/Pletsch one a lot of people talk about. Let me check what Sandra has to say but I believe you make the same cuts but then overlap the pattern tissue instead of making space, if that makes any sense. I’ll email you a pic.